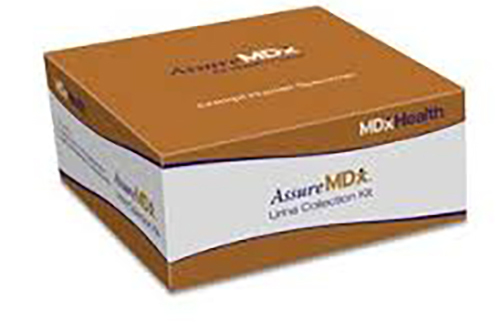 MDxHealth has launched its AssureMD for Bladder Cancer test in the United States as a laboratory developed test (LDT). Testing will be conducted at the company’s CAP and CLIA accredited laboratory facilities in Irvine, CA. AssureMDx is a noninvasive, urine-based test, combining methylation and mutation biomarkers, to assess the risk of bladder cancer for patients diagnosed with hematuria. AssureMDx has been validated to improve upon the standard of care, helping rule out the risk of bladder cancer with a negative predictive value (NPV) of 99%. The high NPV led study investigators to report that the test could potentially spare as many as 77% of hematuria patients from undergoing a cystoscopy. Furthermore, the test’s 93% sensitivity and 85% specificity can help doctors identify patients at increased risk for bladder cancer, who may benefit from cystoscopy.